Have you ever filled in a contact form on a website? I bet you did. Chances are, you probably have a bunch of forms on your own website as well. Well, I hope you at least have a contact form. That’s the bare minimum. As a savvy marketer, you most probably have subscription forms, inquiry forms, special orders and discount forms. 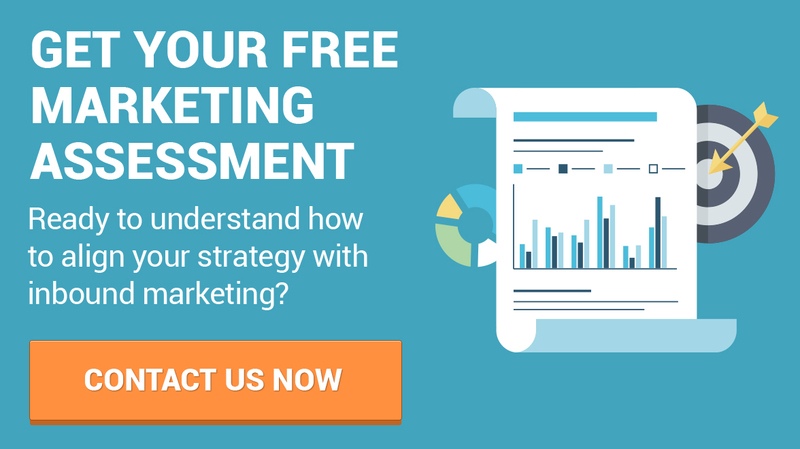 Those forms are the backbone of every inbound marketing strategy. Think about this: when someone fills in your contact form, to offer a guest post on your blog. What happens with their information? Most likely, after you’ve fulfilled their inquiry, nothing else happens with the name and email of that person. That’s the problem. Smart forms are the solution. Smart forms are just like regular forms on your website that trigger a chain of automated marketing events and help you say the right thing, to the right person at the right time. In other words, smart forms make you a marketing superstar. Let’s see what’s so special about them. A well designed smart contact form is the front door to your marketing automation process. There are several ways in which smart forms trigger marketing automation. For example, smart forms can segment your lead or prospect upon arrival. Or you can set up automatic form filling for prospects that have filled in another form. The result? Faster and cleaner forms that save people time and effort. And who doesn’t like that? On the backend, smart forms can add or remove properties to each contact in order to change the stage they’re in on the buyer’s journey. With automated contact segmentation, prospects smoothly move from one stage to another without you having to move the tip of your finger. Remember that regular contact form on your website? Where did the prospect go? The nice thing about smart forms is that they immediately store every new contact in your database. You never have to worry about a lost email, prospect or lead even months and years after the initial contact. As a part of the integral automation process, smart forms trigger tasks and activities in your marketing process. But that’s just the beginning! Smart forms communicate not only with your prospect list but with your sales team as well. You might set them up to send notification to a salesperson to call a prospect that requested a demo or a discount code. The good thing is that smart forms send only notifications for sales qualified leads improving the sales results of the business overall. As a user, this is my favorite feature. When I want to download yet another ebook from the same website, it drives me crazy that I need to retype my email, name and what not, over and over again. Well, that’s over with smart forms, because they have smart fields. Cookies get really useful here – fields disappear or automatically get filled in when the prospect has previously entered the required information in your database. Save them time and effort and they’ll love you. Another of my favorite smart form features is the ability to create custom fields. With those, my team and I can get the exact information about a prospect that makes sense for the business. Nothing more, nothing less. Don’t be like my grandma who doesn’t want to get a smartphone because it looks difficult to use. Smart doesn’t equal complex or difficult. 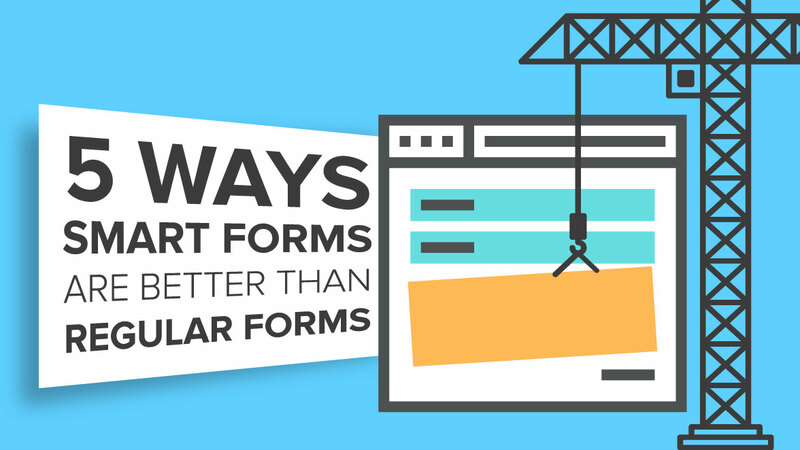 Smart forms aren’t that way only on the front side, but on the backside as well. For the person who is going to set them up (you, I guess) they’re intuitive, easy to design, change and adjust. Most smart form design tools utilize a drag and drop interface and give you easy access to changing basic features like fields order, colors or text. Don’t be afraid to test them and even make mistakes. Smart forms have integrated field validation that will identify to you or the prospect filling in the form, if something has went wrong. From smartphones to smart cars, everything in our lives needs to be more intuitive and tailored to the specific needs of each individual, if it’s going to last. Your website forms aren’t getting away with being just regular. That is, of course, if you want to get more leads, higher engagement, increased sales and most importantly, more happy customers. Using smart forms is easy and simple, and that’s exactly why you will be fascinated by their impact on your marketing automation. Not sure how you can integrate smart forms in your existing marketing funnel?